The interplay and similarities between physics and mathematics found in the study of scattering amplitudes on the physics side and in the theory of motives on mathematics side is a fascinating and rapid developing subject of current research. 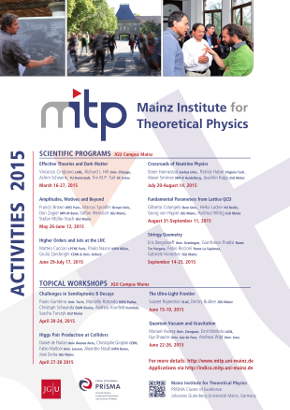 The MITP scientific program “Amplitudes, Motives and beyond” will bring together the world leading experts in this intersection from the fields of high energy physics, mathematics and string theory. Ultimately, the proposed program should ignite further progress in this direction.